Members of the Santa Clara Vanguard bass line discuss some of the physical characteristics and challenges of marching with a bass drum. This interview from July 22, followed Santa Clara Vanguard's performance at the DCI Southwestern Championship in San Antonio, Texas. 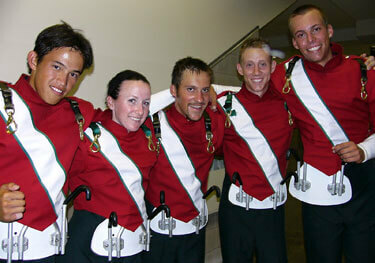 More interviews like this one are available exclusively to members of the DCI Season Pass.